Dubai Parks and Resorts, a Meraas Holding company, announced details of the region’s debut Bollywood Parks Dubai which will be located in Jebel Ali. 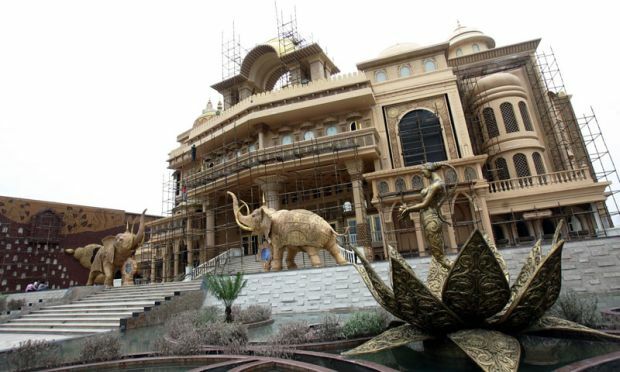 The company said in a statement that Bollywood Parks Dubai will cover a total of three million square feet. The destination will host 16 rides and attractions within five movie themed areas featuring content developed in partnership with Mumbai’s major film studios – Bollywood Film Studios, Mumbai Chowk, Hall Of Heroes, Regal Plaza and Rustic Ravine. The experience will kick off at the entrance to the theme park on Bollywood Boulevard where dance performances, character interactions and street theatre will greet visitors. In addition to the themed zones, Bollywood Parks Dubai will offer a variety of retail outlets and themed restaurants integrating vibrant elements that are quintessential Bollywood. The project will also host Lapita Hotel, a themed family hotel. Located in Jebel Ali between Dubai and Abu Dhabi, Phase 1 of the mega project is scheduled for completion in 2016.